„Hin und Wech“ = Nice One ! 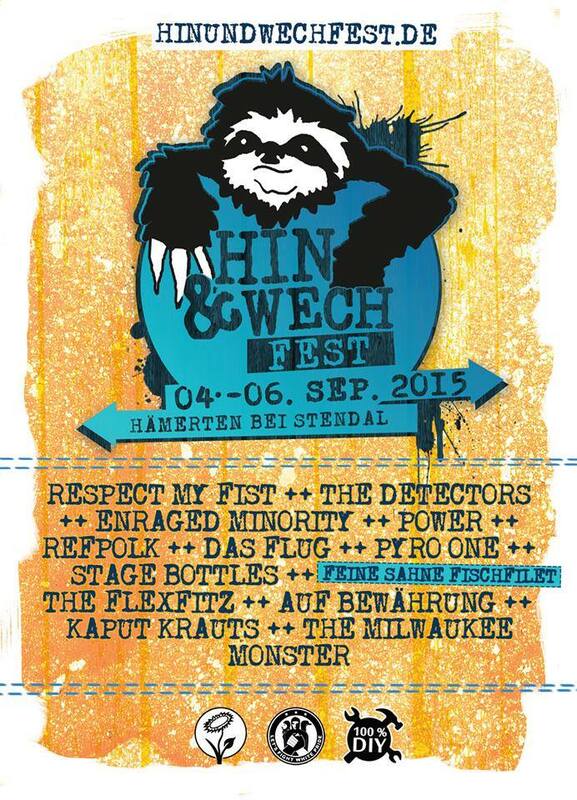 We can‘t await this weekend’s Hin und Wech-Fest supporting antifascist counterculture in Saxony-Anhalt’s province. Looking forward to see great bands like The Detectors, Feine Sahne Fischfilet, Power, Stage Bottles, Respect My Fist, Enraged Minority and many more. Come along and clink glasses at our table! Du browst gerade in den Fire and Flames Weblog-Archiven nach dem Tag 'stendal'.